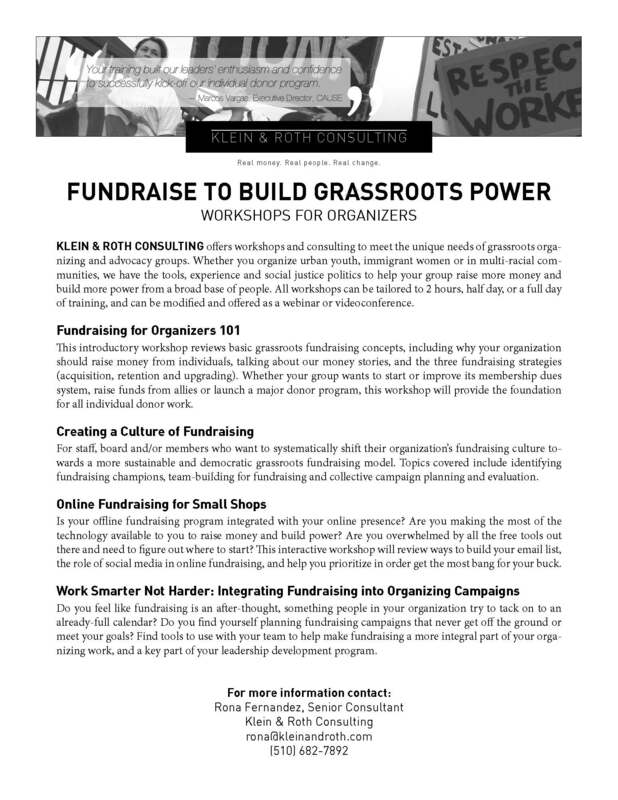 We provide trainings on a range of fundraising and other organizational development topics for individual organizations, foundation grantee cohorts, nonprofit conferences, and via webinar. Trainings (ranging from two hours to multi-day formats) can be customized for boards, staff, and volunteers. We will work with you to design a curriculum that meets your unique needs.